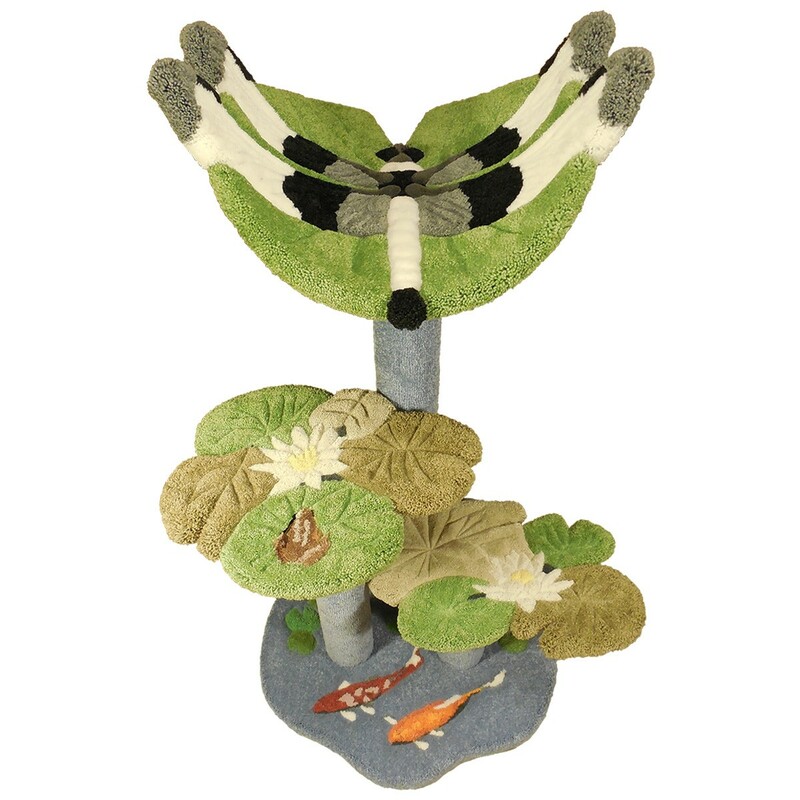 At just over 3-1/2' tall, this pond-themed cat perch has a curved bed with a dragonfly & lily pad motif and 2 steps with clusters of lily pads & pond lilies. The upper step also has a bullfrog inlay. The base has inlays of lily pads and Japanese Koi fish. The inlays are sculptured to create a 3-dimensional look and feel. This amazing cat perch adds beauty to any room, while providing a cozy place for your cats to enjoy! If you wish, you may convert up to 2 of the normally carpeted posts to sisal rope scratch posts, including options for colored (dyed) sisal. Some assembly required.